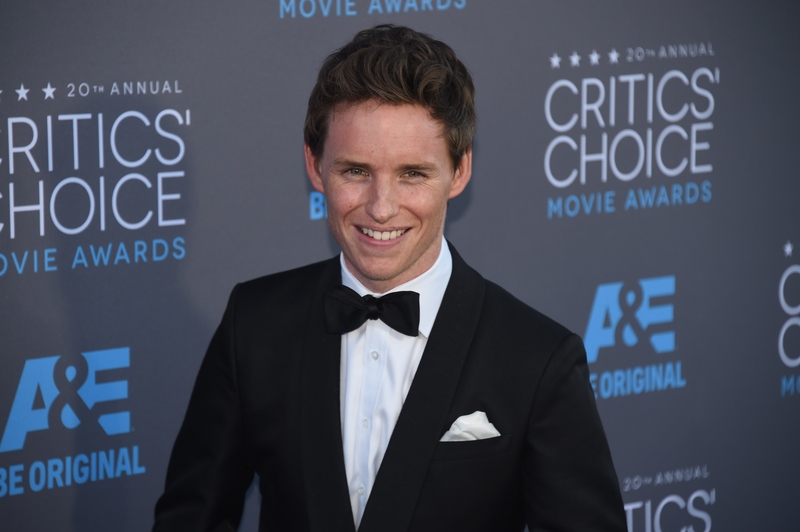 Eddie Redmayne is having his moment, everyone. Ending his awards season circuit run on the highest note, Redmayne took home the Best Actor Oscar for his portrayal of Stephen Hawking in The Theory of Everything. He was endearingly surprised, but after winning the SAG, BAFTA, and Golden Globe this year, I had a sneaking suspicion he was the one to beat. Throughout the red carpets this season, we have learned a lot about Redmayne, and he quickly turned him into one of the most endearing and loved actors out right now. He shared with us how he met his adorable new wife Hannah Bagshawe and about that time he stalked Jennifer Aniston with her. D'aww. But, um, did you know that Eddie Redmayne is friends with Prince William as well as pretty much every British actor you've ever had a crush on? We love ourselves a strong bromance (cue Hiddlebatch) and it turns out, that while Redmayne counts those two as friends, he has quite a few strong bromances of his own. He was classmates with Prince William while they were at Eton College and even played rugby together. How very posh of him! And once Redmayne decided to pursue his film career, he found himself the most swoon-worthy band of British brothers who were also roughing it up to become Hollywood's next hottest stars. Is this the most attractive group of friends ever? I venture to say YES. A few years ago, Dornan and Redmayne were two young actors struggling to make it in Hollywood. On a few occasions, they have both revealed they shared a couple apartments together in Los Angeles while they "failed to get parts." They have remained good friends throughout the years and obviously, have been getting some pretty good parts now, if I say so myself. And we all know a real friendship is when you do the Ice Bucket challenge together. And they did and it was glorious. When Redmayne was still "up and coming" and promoting his role on Les Miserables, many outlets mentioned his connection with bigger British actors at the time, notably Robert Pattinson and Sam Claflin. In this interview with PopSugar, Redmayne described how he and Pattinson had been friends "for a long time" and were all part of this group trying to make it in London, so they inevitably became good mates. They also shared this really awkward and possibly drunken presenting experience at the HPFA Grant Banquet last August and their chemistry set ladies' hearts on fire. Redmayne and Tom Sturridge were co-stars in the thriller Like Minds, and remained good friends following that. Redmayne mentioned his throng of friends in Stylist Magazine saying, "There’s a group of us. Ben [Cumberbatch] and Tom [Hiddleston] are old friends, but my closest buddies are probably Andrew [Garfield], Tom Sturridge, Jamie Dornan and Charlie Cox." Back in 2010, Redmayne promoted The Yellow Handkerchief, a film he made with a pre-Twilight Kristen Stewart, and she told Access Hollywood of how "incestuous" this British boys actor club was. Redmayne added, "Rob and Tommy Sturridge and I — we’ve all been at it for a while now and it [is] so funny what happens when you start doing the jobs and you work with other people and you realize the whole industry is incredibly incestuous." Yeah, he's best friends with most of Britain's finest male actors, but I can't go without mentioning that Redmayne went to school with PRINCE WILLIAM. Like, they were in the same classes and even played sports together. Although they do not keep in touch much anymore, Redmayne has shared his fond memories of going to school the Duke. He told The Telegraph, "We were on the same Colts B team in 1997...I always felt slightly sorry for Will because everyone wanted to tackle the future King of England. He took all the hits. I’m pretty sure Will was more intimidating than I was. I don’t think I intimidated anyone in my life. I haven’t seen him since school, but he was a lovely man."